It’s the million-dollar question on everyone’s mind in the bollard business: How much does it cost to paint a bollard post vs. covering the post with a bollard cover? So, as The Original Bollard Cover Company, we’ve put together a cost comparison of painting bollard posts vs. installing Ideal Shield bollard covers. Based on using a union painter’s estimates (which includes taxes, insurance, benefits, etc. ), it would cost an average of $35.00 per post to paint at new construction sites. Using Ideal Shield’s pricing, it would also cost an average of $30.00 per post to cover at your facility. Already sounds like covering the posts is a more cost efficient practice, right? Well, that’s true, and it only improves more and more as the years go on. This cost comparison represents a five year approximate savings of $464,000 on 3,200 posts, the same length as the Ideal Shield “no fade” guarantee. How about with a more realistic number of bollards and stores for a mom and pop shop? This cost comparison represents a five year approximate savings of $2,360 on 16 posts. And that doesn’t even include the saving on the one thing everyone wishes they had more of: Time. Though a conservative breakdown of the cost savings, it’s not hard to see that there is a significant amount of savings out there when you’re in the market for maintaining bollard posts. Whether your businesses (or bollard posts) are only going to be around for one year or twenty years, the bollard cover is the smarter, cheaper, more efficient route to take. 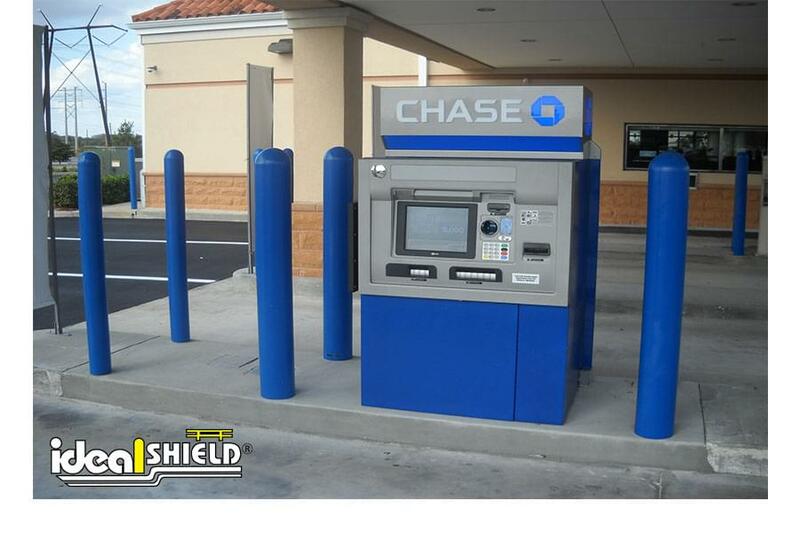 So, if you’re interested in saving a lot of money over the lifetime of your bollard posts, contact Ideal Shield today at (866) 825-8659. Our knowledgeable, experienced sales team will work with you to make sure your facility, business, residence, warehouse, or where ever your bollard posts may be, will be paint-free, maintenance-free, and look fantastic for years to come.